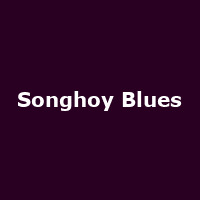 Songhoy Blues are a young desert blues-punk band from Timbuktu, Mali. The band were exiled to Bamako during the unrest in Mali. The band features Aliou Toure, Oumar Toure, Garba Toure and Nathanael Dembele. They released their debut album, "Music In Exile" in 2015, plus 2017's: "Résistance".